Dr. Pravas Ghosh is the secretary of CTE. For last sixteen years he is in the education field. 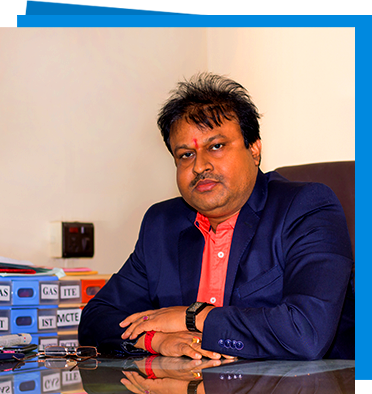 He is active and his vision is to have developed modern Educational Institution with teachers’ education, Information Technology, Management Studies, Biological Sciences, Health Sciences and Paramedical Sciences Research Centre with job oriented courses for students coming from various parts of India and abroad. He proposes to add a few more courses to the existing ones. In a world that is ruled by technology, every aspect of life is determined by the innovation, upgradation and application of technology that is relevant and manageable. The development and use of technology is again rested on the individuals who are exposed to such technology, have first hand experience in handling it. I extremely realize the deficiency of Educational Institution, Technical and Management College in this area. I found the CTE & Institute of Science & Technology with the sole aim to serve the people for such kind of education. As the Secretary of this Institute, I assure you that college will provide and assist all the candidates in pursuing their goals. Come at CTE, you will find a quality of life that’s very high and different, both in academic pursuits for seeking professional excellence that will enrich you and make you efficient, confident and successful.